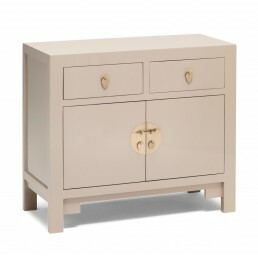 Re-production lacqured antique Chinese cabinets, tables and chests. 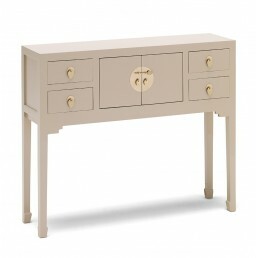 Classic hand-painted designs with a contemporary look at affordable prices. Hand-made using traditional carpentary techniques in Northern China from eco-friendly poplar wood and hardwearing plywood. 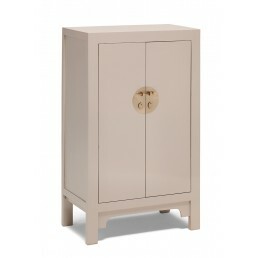 Each piece has exceptional build quality throughout and are solidly constructed. 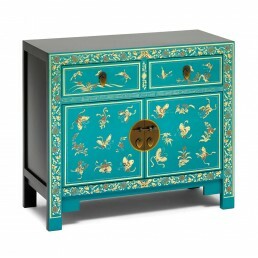 Each furniture piece from this collection is carefully lacqured with some having intricate hand-painted Chinese designs, all featrure gold leaf detailing. 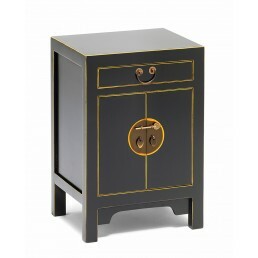 These wonderful lacquer pieces are available from UK stock - Buy online. 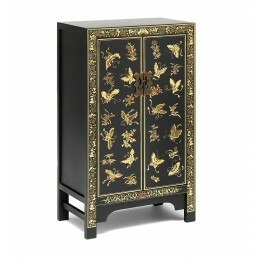 Small Chinese black lacquer end or bedside cabinet with decoration & gold leaf. 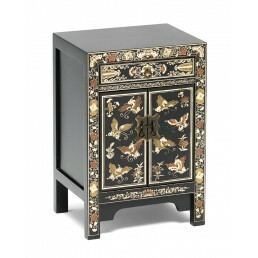 A very practi..
Small Chinese cabinet hand painted in black with gold leaf butterfly designs. 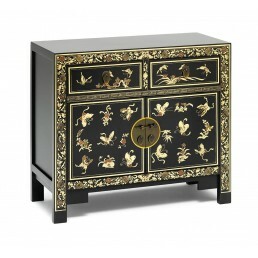 A very practi..
Small size decorated Chinese black lacquer sideboard cabinet with gold leaf edges. A very practic.. 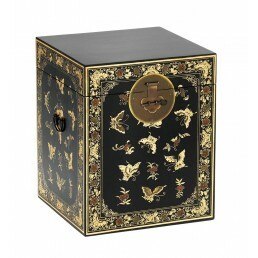 FEATURES A charming Chinese trunk in black with a classic Oriental design in gold leaf .. 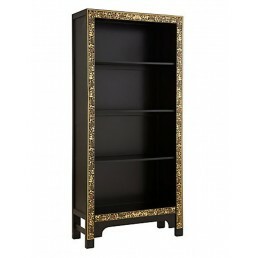 FEATURES A large Chinese bookcase in black, edged with a classic Oriental design in gold .. 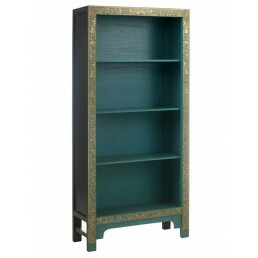 FEATURES A large Chinese bookcase in blue, edged with a classic Oriental design in gold l..
Small Chinese cabinet hand painted in blue with gold leaf butterfly designs. 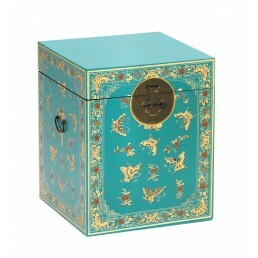 A very practic..
Small Chinese turquoise blue end or bedside cabinet with decoration & gold leaf. 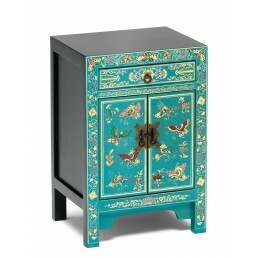 A very pract..
Small size decorated Chinese blue lacquer sideboard cabinet with gold leaf edges. A very practica.. 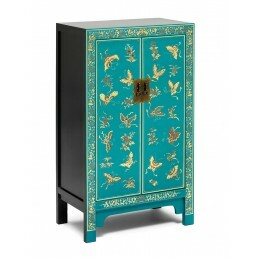 FEATURES A charming Chinese trunk in blue with a classic Oriental design in gold leaf ..
Small Chinese black lacquer cabinet with gold leaf. 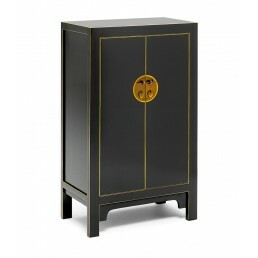 A very practical and hard wearing, good looki..
Small Chinese black lacquer end or bedside cabinet with gold leaf. A very practical and hard wear.. 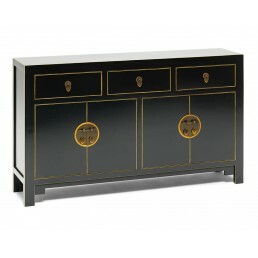 Medium size Chinese black lacquer sideboard cabinet with gold leaf edges. 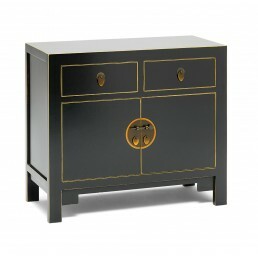 Manufactured from popla..
Small size Chinese black lacquer sideboard cabinet with gold leaf edges. Manufactured from poplar.. 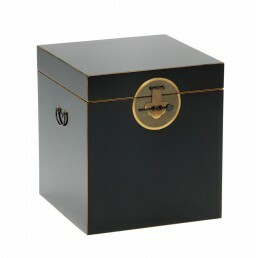 FEATURES A charming Chinese trunk in black with gold leaf edging The beautiful glos..
Chinese black lacquer coffee table with gold leaf edges. 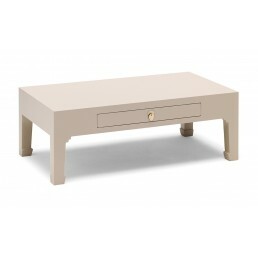 The finish and design will work well in ..
Chinese oyster grey lacquer coffee table with gold leaf edges. The finish and design will work we.. 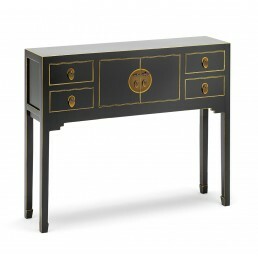 FEATURES A large Chinese console table in black with gold leaf edging The be.. The Nine Schools Qing Chinese console table in oyster grey lacquer with gold leaf edges. FEAT.. 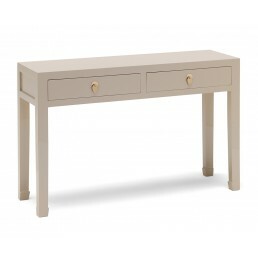 The Nine Schools Qing Chinese small console table in oyster grey lacquer with gold leaf edges. .. 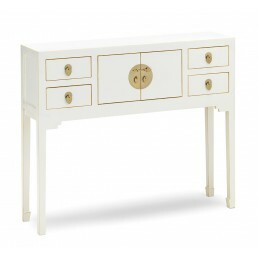 The Nine Schools Qing Chinese small console table in white lacquer with gold leaf edges. 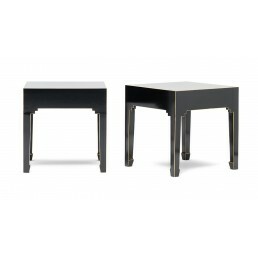 FEAT..
Chinese black lacquer Qing lamp tables with gold leaf edges. 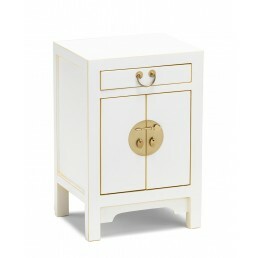 The finish and design will work well..
Chinese oyster grey lacquer Qing lamp tables with gold leaf edges. The finish and design will wor.. 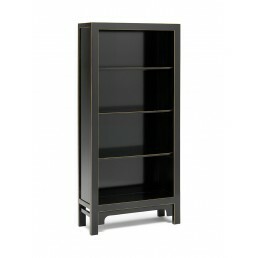 FEATURES A large Chinese bookcase in black with gold leaf edging The beautiful glos..
Small Chinese cabinet hand painted in oyster grey. 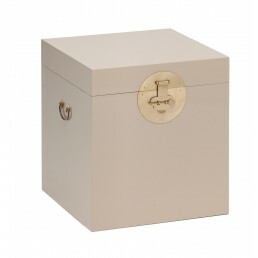 A very practical and hard wearing,..
Small Chinese oyster grey lacquer end or bedside cabinet with gold leaf. A very practical and har.. 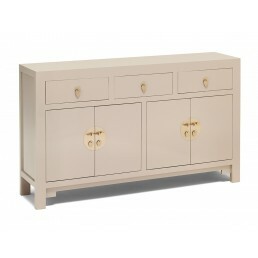 Medium size Chinese oyster grey sideboard cabinet with gold leaf edges. Manufactured from poplar .. 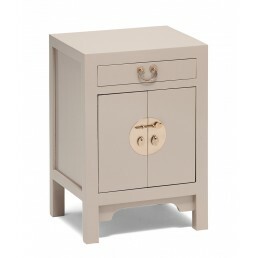 FEATURES A charming Chinese trunk in oyster grey The beautiful satin finish is comp..
Small Chinese white lacquer end or bedside cabinet with gold leaf. A very practical and hard wear.. 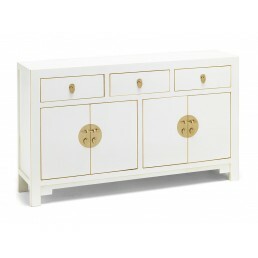 Medium size Chinese white sideboard cabinet with gold leaf edges. 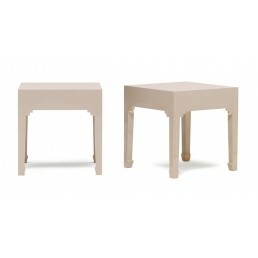 Manufactured from poplar wood w..